Whether you need mold testing or mold remediation, let Restoration Local connect you with a local mold removal company. Call 1-888-443-3110 now to talk with a mold testing and removal contractor in your area. They offer 24-hour services, 30-minute response, and a free, no-obligation estimate on all mold services. Mold inspection and testing is the process of identifying a mold contamination and determining the specific strain of mold, such as black mold. 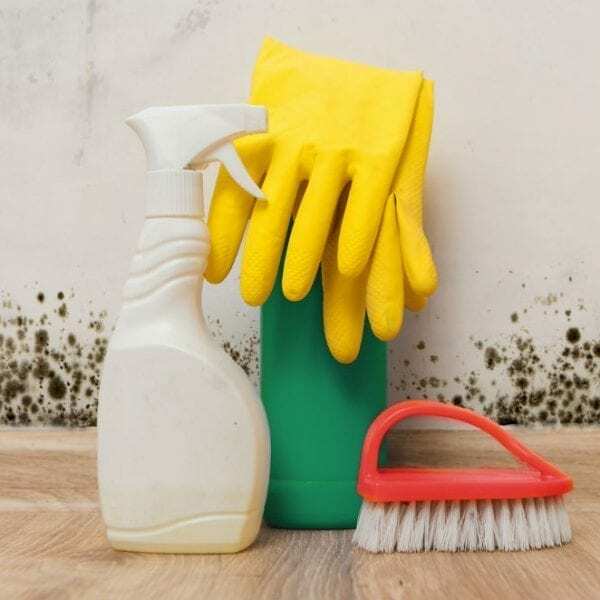 Mold removal is the process of removing materials contaminated with mold, fixing the source of moisture that caused mold in the first place, and disinfecting the area to prevent mold from returning. Each state has their own regulations for mold testing and inspections to prevent fraud and keep consumers safe. Some states allow mold removal companies to perform tests, while other require mold testing services to be completed by a separate company. If you have visible mold, you can skip mold testing and inspections and begin immediate mold removal and restoration services. Our mold removal process begins with a completely free assessment and no-obligation estimate. Our mold remediation contractors offer 24-hour emergency services and 30-minute response time. Mold is a naturally occurring airborne fungus that is all around us. While individual mold spores are harmless, mold can thrive in the presence of both organic material and consistent moisture. The health risks of mold are often exaggerated but it can cause severe allergy-like symptoms. There are three main types of mold tests to identify if you have a mold issue. Air quality testing identifies contaminants in the air. Surface testing checks for mold growth on walls and other surfaces. Bulk testing analyzes a sample of material to determine the concentration of mold. In many cases, samples are then subjected to a culture test to identify the specific species or strain of mold. While only live samples can be cultured and identified, dead mold spores can still cause allergies and other health issues. Regardless of the type of test, samples are analyzed in a laboratory to identify the concentration of mold in the air and amount of mold growing in your property. It’s important to understand that mold contamination is rarely consistent, so different samples may return varying levels of concentration. An air quality test is one method used to detect and identify mold within your home or business. In addition to detecting mold, air quality tests will also help identify allergens, pollen, asbestos, and other volatile organic compounds (VOCs) that are in the air in your property. While an air quality test will identify the concentration of mold spores in the air, it does not guarantee you have a mold contamination in your property. Mold spores exist naturally in the air, so it is common for them to appear on an air quality test. However, an air quality test can be helpful in identifying a mold problem if you already have other signs of mold. A mold surface test is another method used to identify the amount of mold in your property. Samples are typically collected by using swabbing or tape lifting various surfaces. Surface testing for mold can help determine the extent of your mold problem. However, these tests are usually performed on surfaces that show visible signs of mold growth or are near such areas. If there are visible signs of mold already, a mold inspection and test are likely unnecessary. In bulk testing, pieces of material are collected from your property and tested to determine the concentration of mold. A bulk test can be useful in identifying mold growing within walls or in areas with low visibility. Unfortunately, knowing the exact concentration of mold in a given area doesn’t significantly impact the mold removal process. If a specific material is contaminated with any amount of mold, it will need to be cleaned or replaced to resolve the issue. Culture tests are usually performed with all other mold tests and inspections to determine the specific strain or species of mold in your home or business. While this information may be interesting to some, it doesn’t change how the mold is removed. While air quality, surface, bulk, and culture tests are all performed by qualified mold testing technicians, home mold testing kits are also available. While these do-it-yourself tests are less expensive than professional testing, they are largely unreliable. Since mold spores exist all around us, it’s likely that they will contaminate the testing container. Best case, you are paying for inconclusive results. If you cannot see mold but are concerned there is a mold contamination, an independent mold inspection and test is the best option. Do You Really Need A Mold Test? If you can see visible mold, then there is no advantage to having a mold test. Regardless of the specific strain of mold, the mold removal process is exactly the same. So if you see mold, having a mold inspection and test will only cost more money and delay the mold remediation process. The Environmental Protection Agency agrees that a mold test is unnecessary if you can see mold. 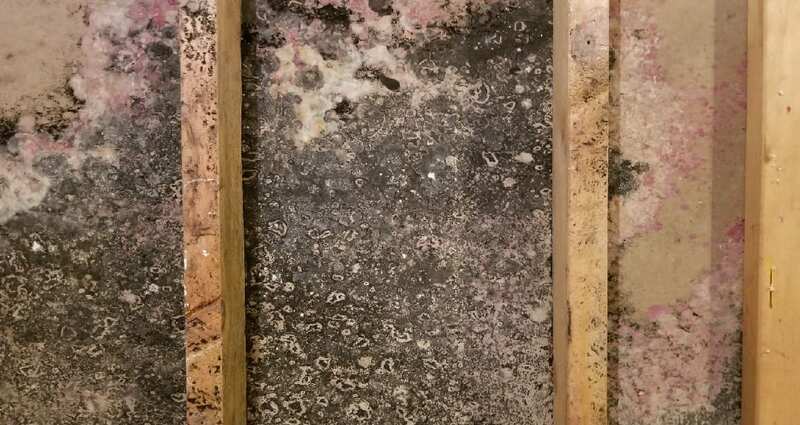 “In most cases, if visible mold growth is present, sampling is unnecessary.” Additionally, the EPA has not set standards or threshold limit values (TLVs) for the concentration of airborne mold spores or other mold contaminants. Mold usually looks fuzzy, hairy, or dusty and tends to grow in thread-like structures. 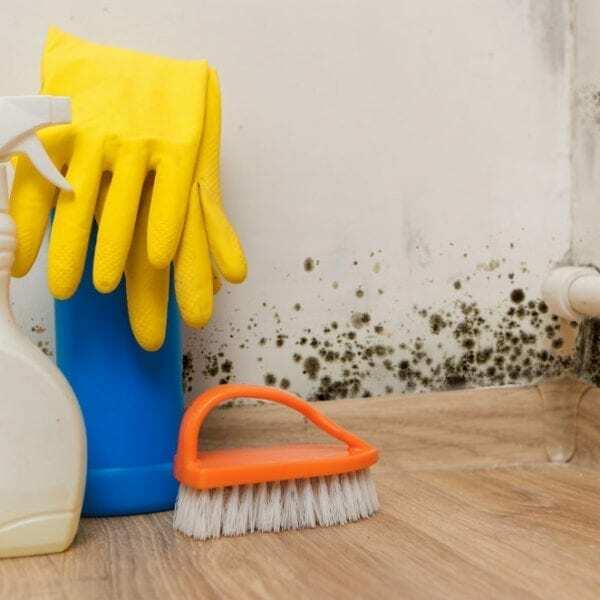 While it may appear any number of colors, including blue, green, white, orange, brown, grey, or black, the color isn’t indicative of the specific strain of mold. The simple truth is, if you think something is mold, it probably is mold. Mold may be accompanied by a musty odor, similar to wet newspaper or cardboard. It typically grows after a flood, sewage backup, or another type of water damage. 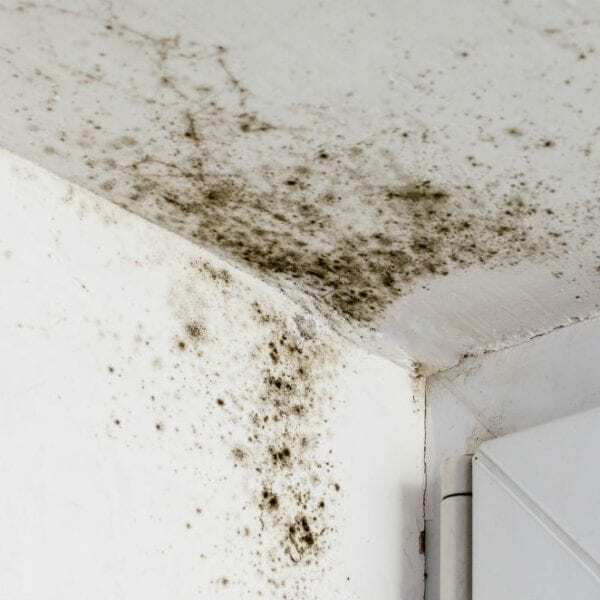 Mold is also common in kitchens and bathrooms, where humidity and condensation are high, especially if there is poor ventilation. 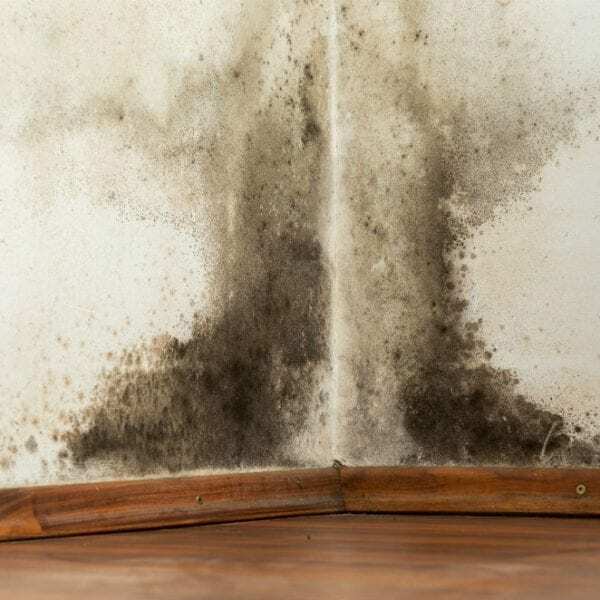 There is a lot of misinformation about so-called toxic black mold and the health concerns of that specific strain are largely over exaggerated. While mold inspections and testing will help you identify the specific strain, all strains of mold pose similar health risks. Whether you have black mold or another strain, you should take steps to immediately remove it to limit the health risks with mold exposure. If you cannot see mold, a mold test may be necessary to determine whether there is an issue. Due to the expense involved in mold inspections and tests, we recommend that you only have a mold inspection if it is absolutely necessary. You may want to have a mold inspection and test is you notice signs of possible mold, but cannot actually see mold. Common signs of mold include musty odors, damp or humid areas, deteriorating building materials, or consistently wet materials. Mold tests will help identify where mold is growing in your home if you can’t see it. Individuals with severe allergies or some respiratory conditions are prone to mold sensitivity. If you notice that your symptoms have gotten worse, a mold test and inspection can help identify the cause. In some cases, a mold inspection may be required before you buy or sell a home. While this practice has very common in the late 80’s and 90’s, it’s largely fallen out of favor today. Still, a mold test can give you peace of mind when it comes to a major purchase. If there are no signs of visible mold or a water source that may allow mold to grow, a professional mold test and inspection is recommended. Allow our mold inspection and testing professionals to perform a thorough evaluation of your home or business, taking several samples to determine if mold is present. Call 1-888-443-3110 now for a free, no-obligation estimate on mold testing and inspection. If you have visible mold, our experienced mold removal and remediation contractors treat for both moisture and mold so you only have to go through mold removal once. The mold removal process begins with an initial assessment and free estimate. We then repair the originating source of moisture and remove materials contained with mold. After cleaning, deodorizing, and sanitizing the affected area to prevent a recurrence, we restore your home or business to its original condition.